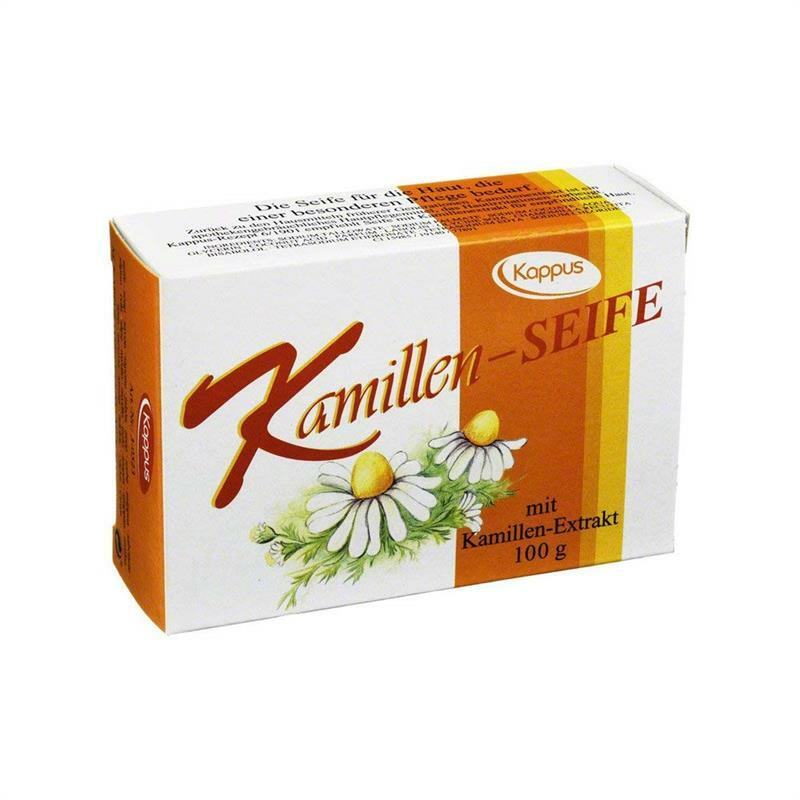 Kappus Kamillen glycerine based soap guarantees not only pleasant bathing, but perfect care in cleansing the skin as well. It leaves skin soft and supple. It helps you keep your skin smoother and sensitive. It also protects your skin from germs and sunrays. Kappus Kamillen Chamomile Soap is a vegetable based bar soap and has been dermatologist tested. Sodium tallowate, sodium palmate, sodium cocoate, aqua (water), glycerin, coconut acid, fragrance, lanolin, glycine soja (soybean) oil, chamomilla (chamomile) recutita flower extract, bisabolol, coumarin, tetrasodium etidronate, tetrasodium EDTA, sodium chloride, Cl15985 (FD&C yellow 3), Cl19140 (FD&C yellow 5), Cl77891 (titanium dioxide).